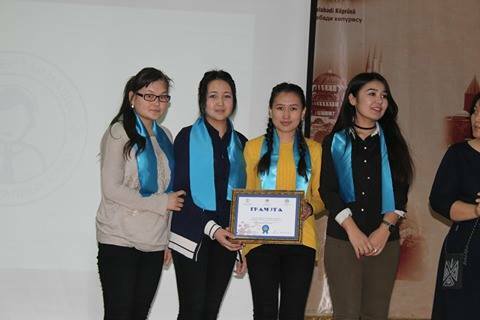 On March 10, the club “Tilmechter taimashy” of the Faculty of Letters held an intellectual game called “Femininity” among the students of Simultaneous Translation Department. The game brought together 8 teams, who answered to the questions about famous women in the world. In the end, first place went to the team “Nur”, the second “Avant-garde”, the third “Legion”. 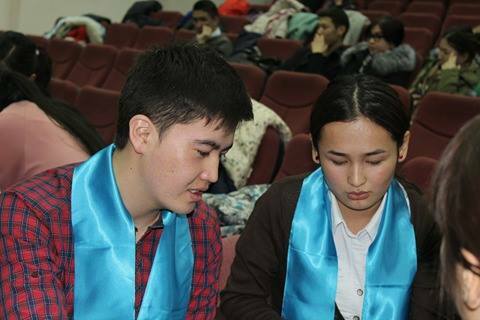 Also, was shown a video “Thank you Mom” translated into Turkish by the third year student Nurjan Sagynbekova. In honor of the 8th of March, the game was concluded with the concert program.